If you're looking for a small car with an upscale interior, a smooth ride and an All-American nameplate, the 2009 Chevrolet Cobalt is a worthy alternative to the Ford Focus. 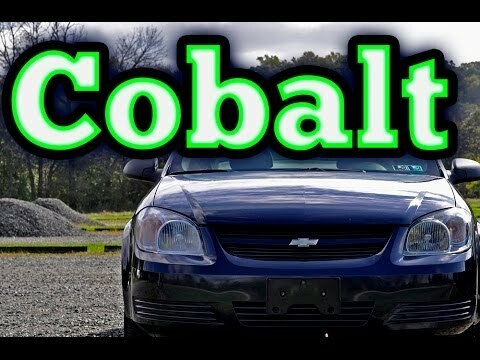 The Cobalt is also easy on gas, a key point of interest for many new car shoppers. Red-Hot Little Hot Rod, great for singles or couple with no kids. I've only had my car for about a month but I love it. It would not be a good family car though because it's a coupe with only 2 doors. Short people or small children are all that can fit in the back seats. I've had no problems with the car so far, and it does have AM/FM radio/CD player, automatic windows, automatic door locks, adjustable seats, and adjustable steering wheel. It has air bags and seat belts. Trunk space is minimal as is the interior. It gets fairly good gas mileage and is reliable. As far as comfort goes, stay in the front seats and you'll be fine. It is overpriced from the car lot!! I bought the car from a car lot without fully checking out the whole car and I can say I regret it! Because after I would already bought it I realized one of the windows does not go down, my blinker does not turn off by itself I have to do it on my own, the lock and unlock button does not work, I have to do it myself as well. We are missing a seatbelt click. So I do recommend when getting a car don't be afraid to do a whole look on the car, checking buttons, switches etc. I can say I learned from my mistake! !